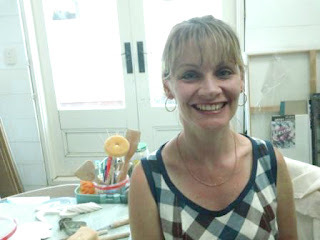 Hello my name is Louise Simonette and I am a ceramicist from North Perth, Western Australia. I have been working with porcelain for a number of years now and I still find myself more and more drawn to its beauty and possibilities. My work began well over ten years ago in the medium of glass from the kitchen of our home after the kids went to bed! The call to ceramics was strong and I have spent much time in short courses, doing experiments and learning from anyone who would answer my questions. All these years later I work out of my much-loved studio in the backyard of our home, which I share with my hubby, two busy kids and of course our beloved dogs. My work is made with much passion, and time spent out of my studio are days of frustration. I am inspired by a simple life, pretty shapes and form which work so beautifully with the pure whiteness of porcelain. 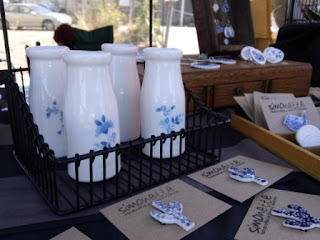 Blue and white are a recurring theme for me, as are vintage floral designs. I aim to make pieces which bring some delight. 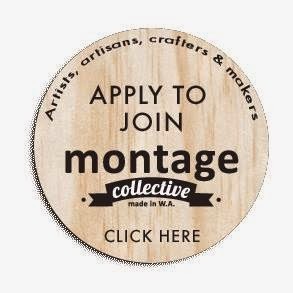 My greatest challenge as a maker is the time spent away from making. The necessary paperwork and time spent organising the practical side of what I do is what I find the most difficult. My best tip for others starting out is to remain flexible and never be afraid to make changes. 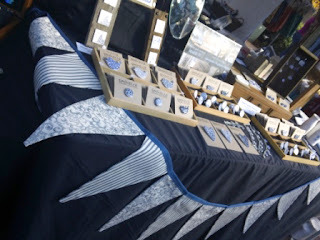 One of the favourite aspects of my work is taking my wares to market. Market folk are the most joyous people on the planet which is reflected in the wonderful atmosphere I love to be a part of on market day. 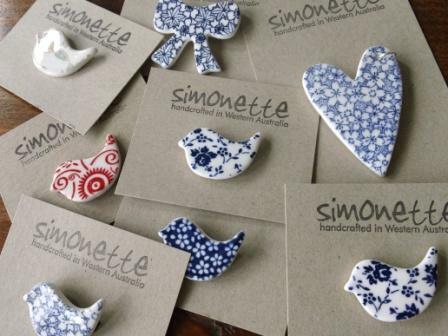 My aims for 2013 include making a pretty porcelain homewares range with beautiful shapes and patterns. I would love also to find time to begin the process of sculpting the images which I dream of daily. In a business sense, success of a craft-based business must be judged on the sales and money made. However what we do is much more than business- it is a need and an outlet for creativity, and personal satisfaction will not necessarily coincide with the day's takings. A creative person's success will be judged by their own sense of achievement after a period of making.